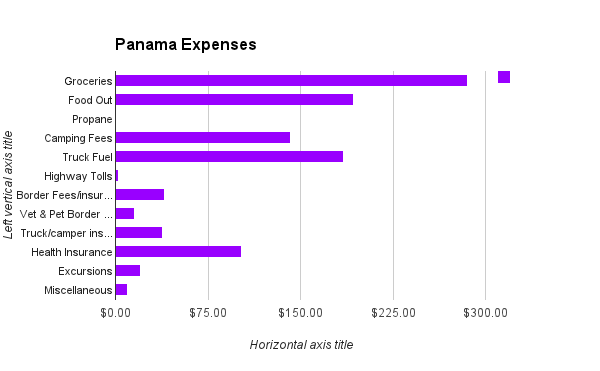 $1,032 US dollars, 21 nights in Panama with a Darien Gap crossing to wrap up Central America. 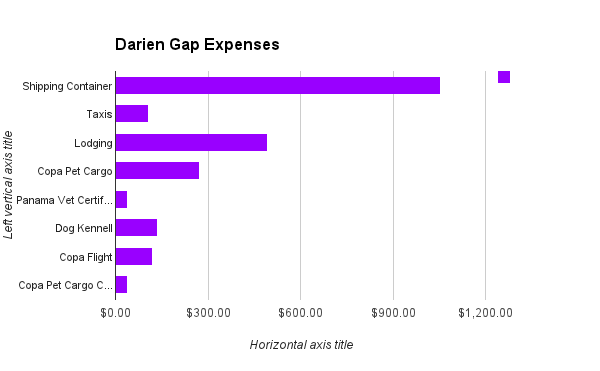 The Darien Gap expenses totaled $2,263 US dollars for 1 truck/camper, 2 people and 1 dog that had his first flight. This time period of July 15th to July 26 covers expenses from the day in Colon when we loaded the truck in the container to the day we rolled her out in Cartagena. Note that Copa Airline flights typically run $350-$500 per person, we got hooked up by a great friend therefore our cost is much lower. I’ll cover the details of Kaleb’s $489 tab for transport from Panama to Colombia in a later post. 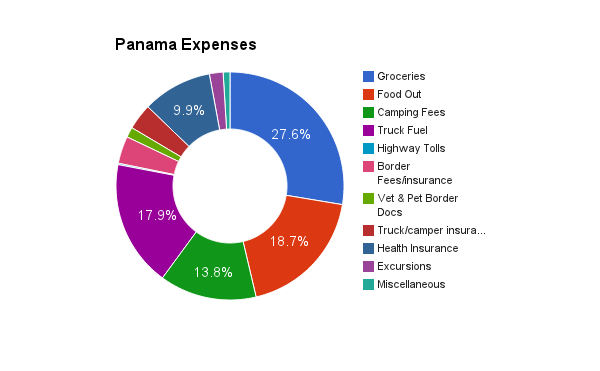 The Panama expenses included all 21 nights in Panama minus any expenses incurred due to shipping the truck/camper across the Darien Gap which are listed above.